The Cole Clark Fat Lady 2EC in Redwood Blackwood with Rosewood fretboard is a real Australian beauty. The solid redwood top provides a nice warm tone when coupled with the solid blackwood back and sides. The three-way pickup in this Cole Clark FL2EC is just simply amazing when in use, being able to blend between the piezo, face sensor and condenser microphone gives endless tonal options when amplified. This Cole Clark FL2EC in Redwood Blackwood not only feels great to play and sounds amazing but it also looks incredible with the book matched the solid redwood top and blackwood back and sides. This Cole Clark Fat Lady 2EC is a popular model here at Haworth Guitars and it's not hard to see why. 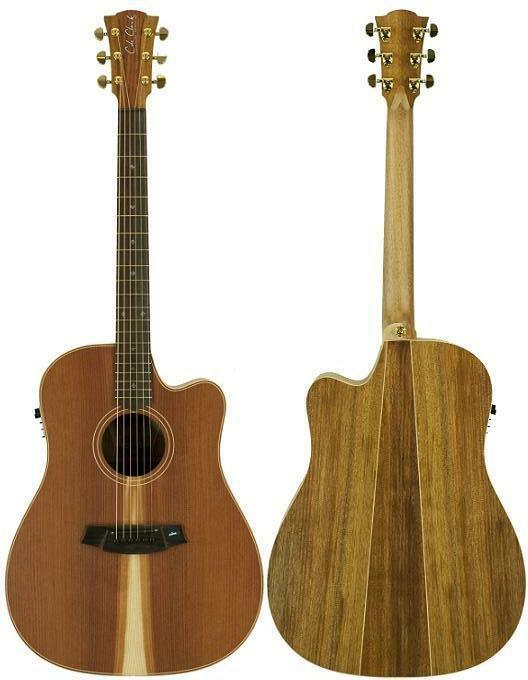 A high end Aussie made acoustic guitar at a decent price with hard case included. It makes sense. *Note - This video review is a guide only as the exact specifications may differ slightly to the model advertised.